Indulge in the delicious mouthwatering luxury chocolate from the Lindt Chocolatiers range of Easter treats. The Lindt Easter Egg Gift Box is full of sophistication that will delight any chocolate lover and provide the ultimate in chocolate heaven. For a touch of elegance this Easter time, indulge yourself or your loved ones with The Lindt Easter Egg Gift Box. Filled with sumptuous Lindt chocolate delights, this sophisticated chocolate gift box is the perfect touch of luxury for a loved one to savour and enjoy. The ultimate chocolate experience. 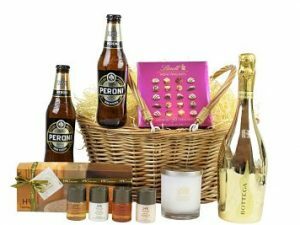 Practical and elegant this hamper is complete with cutlery and crockery. 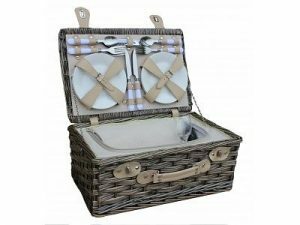 Choose from our 2 or 4 person fitted picnic baskets. 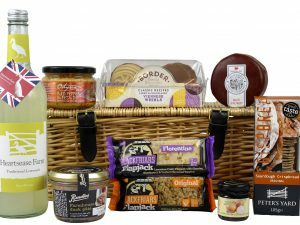 Everything you need to enjoy a stylish picnic, except the food!